Flyfishing off Tashmoo jetty Saturday. 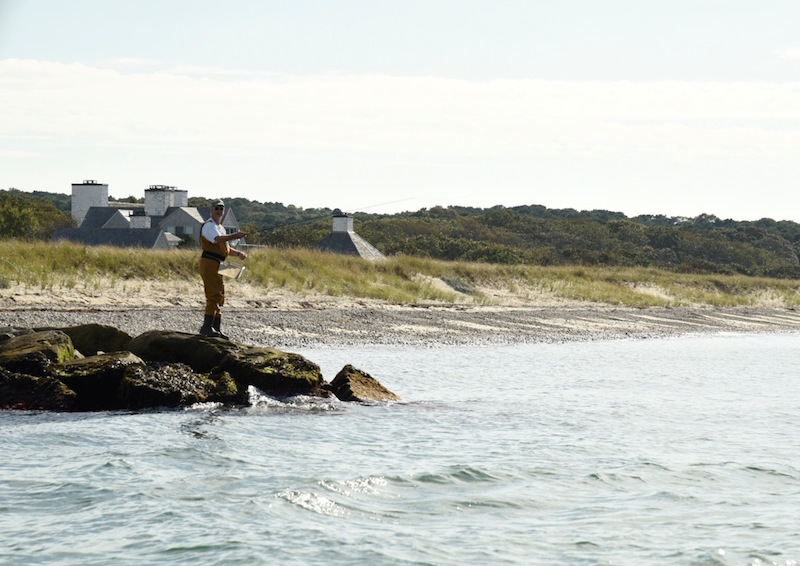 The pressure is on as the Martha’s Vineyard Striped Bass and Bluefish Derby heads into the final week of fishing. As the grand leader board changes, nerves may get a little more frayed and the blood pressure may begin to creep north. As he weighed fish at derby headquarters in Edgartown late last week, Mike Cassidy had some advice for those sweating it out. And that is exactly what anglers of all ages did all weekend as a stretch of mild, summer-like weather set in. Derby hot spots like the Big Bridge and Edgartown Lighthouse have been crowded. At the Cape Pogue Gut on Saturday morning fishermen lined the shore on both sides, shrouded in dense fog. At midday the fog burned off, replaced by warm sunshine around the time of high tide. Asked how the fishing was last Thursday morning, Rick Mikula of Hazleton, Pa., held up his fish. 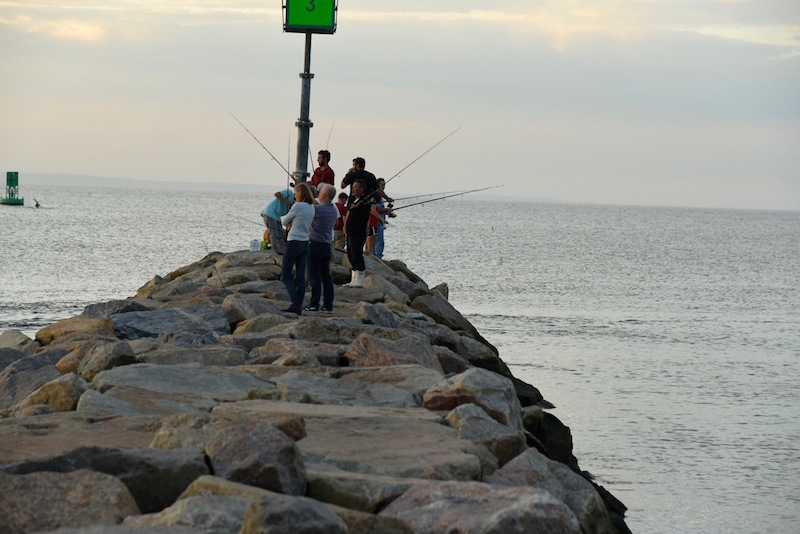 Boat bluefish, William Kadison, 18.49 pounds; shore bluefish, Robert Bottary, 16.70 pounds; boat bass, Stephen B. Hansel, 51.05 pounds; shore bass, John Stasiuk, 29.61 pounds; boat bonito, Steve Bacelli, 10.80 pounds; shore bonito, Mark Campos, 8.57 pounds; boat albacore, Trish Lyman, 12.23 pounds; and shore albacore, Casey Elliston, 12.56 pounds. The fishing derby was one of my favorite times spent on the island during the late fifty;s then the island was not as populated. but still beautiful. Menemsha fishermen rise with the sun.